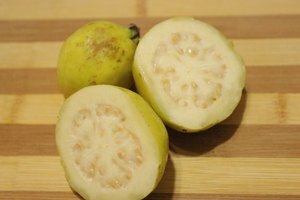 What Does it Mean When Juice Is Not From Concentrate? How orange juice is labeled, whether "from concentrate" or "not from concentrate," is regulated by the Food and Drug Administration in the U.S. This means the manufacturer must abide by strict standards that dictate how it can label your orange juice. Once you understand the distinctions, you can choose accordingly. When oranges are processed by a juice producer, two options are available: either the juice can be packaged and stored in its original juice form, or it can be dehydrated and condensed into a juice concentrate. If the juice is concentrated, it can be frozen and sold as frozen concentrate, or it can be reconstituted with water and sold as "from concentrate" juice. For orange juice to be considered and labeled "not from concentrate," it must be processed without any water removal and reconstitution. Juice not made from concentrate will likely be pasteurized, and it is also possible the juice producer will extract orange oil from the peel and add it to the juice to make the juice more flavorful. If you're using the orange juice in a recipe, there's not much difference between orange juice that is made from concentrate or not. 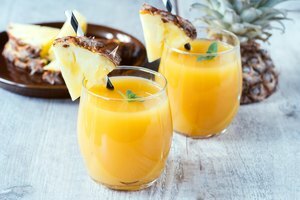 The taste is usually fresher in those not made from concentrate, which is important if you're drinking the orange juice alone or if it makes a significant part of a drink. If a "not from concentrate" juice and a "from concentrate" juice are processed without added sugar, the nutritional content of each juice will be similar. Check the container for full nutritional information. If orange juice is fresh-squeezed, it will be designated as such on its label. 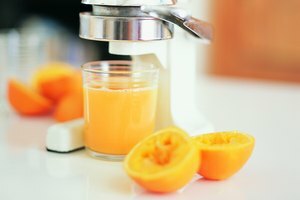 "Not from concentrate" juices may be able to claim that they taste fresh-squeezed or that they are made from fresh-squeezed oranges, but the law does not permit them to be called "fresh-squeezed juice" unless they are squeezed and packaged without any further processing, including pasteurization. 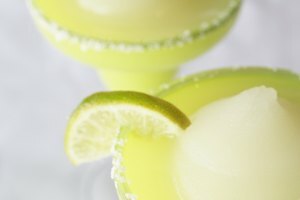 Can Sweetened Lime Juice in a Bottle Get Old? 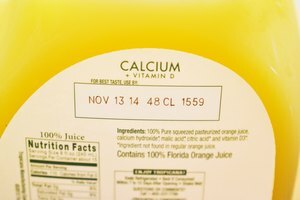 What Are the Dangers of Out of Date Orange Juice? How Long Does Canned Pineapple Juice Last After Opened?